I've recently posted two recipes for roasted chicken - one in the slow cooker and one in the oven. I've also posted one of my favorite ways to use the chicken from those roasted chickens. We're usually able to get 2 or 3 meals out of one chicken, so it's nice to have a little variety, so we're not just eating chicken Caesar salad for a week straight. Another one of my favorite meals to make with leftover chicken is tacos (or burritos). You can use store-bought taco seasoning, but I made my own this last time. Heat a skillet over medium heat. Add chicken, taco seasoning, and water. Cook, stirring occasionally, until heated through and most of the water has evaporated. The amount of seasoning will depend on your taste preferences. I ended up adding the whole batch of seasoning, but you can start with less and add more after tasting. Remove from heat; keep warm. Warm tortillas in a clean skillet over medium heat. Place chicken and other desired toppings; fold like a taco. Note: To make this a cheaper meal, add beans and rice to the tacos. This will mean you need less meat. Additionally, make sure the chicken is on sale when you buy it. I usually pay approximately $3.50 for a 5-lb. chicken and get a few meals out of it. It has recently come to my attention that some of our readers think I am some sort of wonder woman who does it all and does it all perfectly. So today I thought I'd confess some things to you. 1) My kitchen is not always clean. In fact, it is rarely as clean as I would like it to be. My sink is often overflowing with dishes and my counters are almost always cluttered with papers and toys. Robbie is always concerned that I will trip over the toys that litter the kitchen floor. 2) So far we have had two church picnics this summer. And I have taken store-bought items to both of them. With summer busyness, I just didn't have the time. For the first picnic, we ran across the street to Lucky's during second service and bought potato salad. Most recently, I didn't even buy anything. My friend Gina gave me an extra angel food cake she had received from someone else. 3) I am not very organized. Hence this Wednesday post being written at 1:00 am Thursday morning. When I get busy, I forget things. 4) I too often allow my life to get too busy. Sometimes it's unavoidable but not always. And I don't always handle the busyness very well. This week was one of those unavoidably busy times that comes annually. Sunday was April's birthday (my baby burrito is one year old!! ), Monday was my birthday, and Tuesday was our anniversary. Of course, I had to push aside my regular chores to make April a super special birthday cake (notice my super messy desk in the background). ...and ended with a human smurf. 5) I stay up way too late. I have always been a night owl. Unfortunately, my boys like to get up with the sun. I need to learn to go to bed at a more decent time. And on that note, I'm off to bed! Good night! These are some of the easiest cookies you'll ever make (and probably one of the easiest recipes to memorize, too!)! The reason: there are only THREE ingredients in them. Take a minute. I'll let you try to guess what they are. Got it? 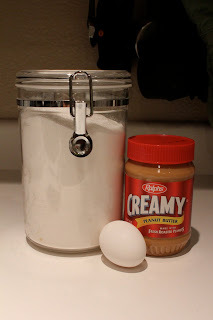 When I told my husband there were only three ingredients in them, he couldn't figure out what the three ingredients were, and once I told him what the three were, he didn't believe me....until I made another batch so he could see (hmmm...was this just a clever ploy on his part to get an extra batch of cookies????). From the title of this post, you can probably guess one typical cookie ingredient that ISN'T in these cookies. My parents were visiting last week and I had a batch of these cookies. We used to make them as kids, but had totally forgotten about the recipe so my mom asked for it. Here you go, mom! 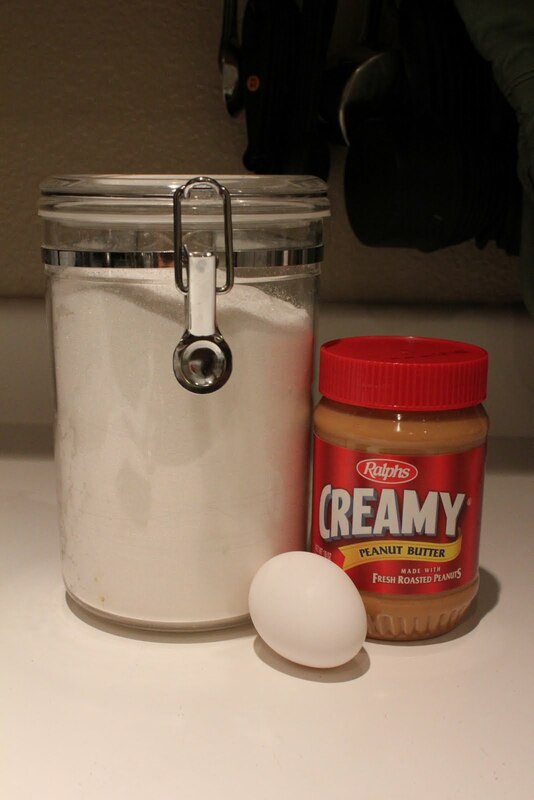 In a bowl, combine the peanut butter, sugar, and egg; mix well. Roll dough into approximately 1-inch balls. Place on cookie sheet and flatten each ball with the prongs of a fork. Bake for 8-10 minutes. They took a few minutes longer in my oven, so just keep an eye on them. 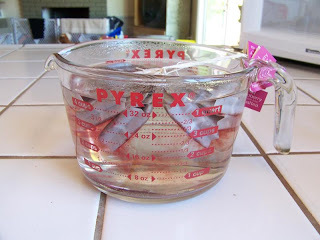 Allow to cool a couple minutes before transferring to a wire rack to cool completely. Sorry, I would have a picture of them plated nicely, but they didn't last long enough!!! I would also like to have a picture of a baked one broken, so you can see that, yes, these actually do have the texture and consistency of a normal cookie! Not only do I like making food that tastes good, but that also looks good. When Robbie and I were first married (before kids), I would try to think of creative ways to plate dinner. Seven-plus years and four kids later, my goal is just to get the food from the kitchen to the dining room with as little as possible ending up on the floor. One dish I make that still looks pretty, even with my precious munchkins running around my legs, is layered salad. 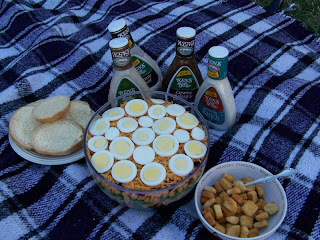 Rather than putting the salad on individual plates in the kitchen as I do with my taco salad or southwest salad, I layer all the ingredients in a pretty glass bowl. 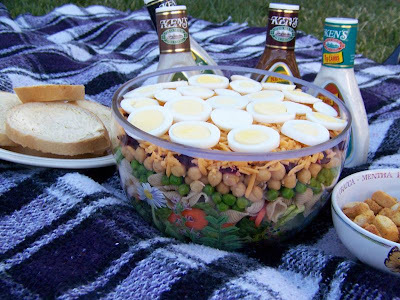 This allows me to serve something that looks great and is easy to get on the table (or the picnic blanket). Think about color. Try to break up ingredients of the same color—don’t put peas on top of lettuce or cheddar cheese on top of carrots. Avoid excess moisture. Be sure to drain everything well so juice from one layer doesn’t seep down into the lower layers. Some ingredients such as lettuce and cheese don’t do well with moisture. If using tomatoes, use grape or cherry tomatoes that don’t need to be cut. Try to make only as much as will be eaten. Because everything ends up mixed up in the bowl, leftovers will only last about a day if everything started out pretty dry. If there is excess water to start with, leftovers may be soggy by the next day. Be sure everything is cut, diced, torn, or chopped to bite-sized. 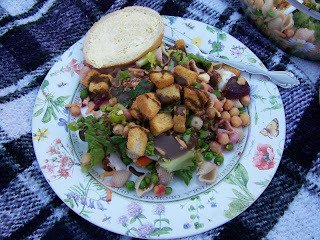 Serve croutons and dressings on the side. Not only does this allow everyone to customize their salad, it will help any leftovers last longer. Layer all ingredients in glass bowl. Serve croutons and salad dressings on the side. 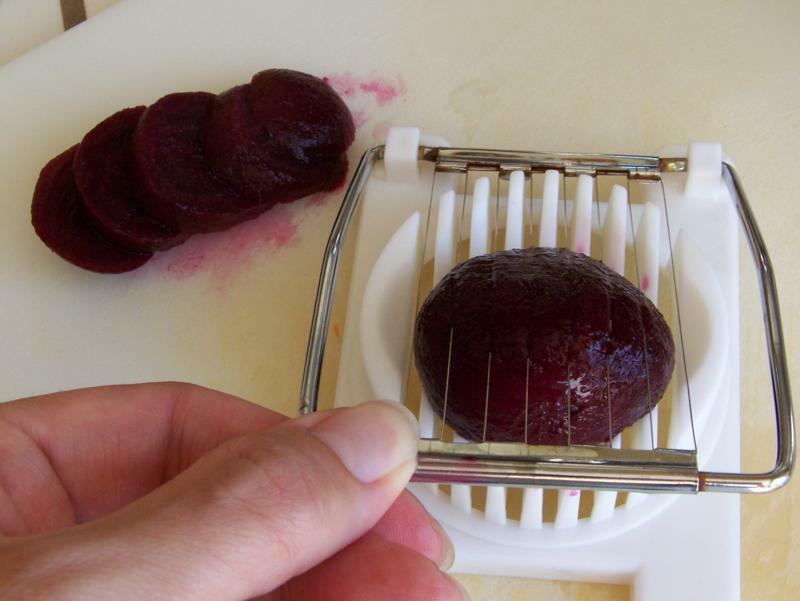 The easiest, fastest way to slice beets. because my kids like it when they get stuck in the shells. Perfect summer picnic in the front yard! I went for balsamic vinaigrette. Yum! Note: I made this salad meatless. You could add chopped sauteed chicken. Summer weather has finally decided to return to Northern California. After a week of low- to mid-70’s, we finally had a high in the 80’s yesterday! So I filled up the kiddie pool, made homemade ice cream, and enjoyed the front yard with my kids. And of course, I had to complete the summer fun with some iced tea! On hot days like today, I grab my tea basket! Before I dive into my iced-tea-making-method, a few concessions to you tea aficionados out there. 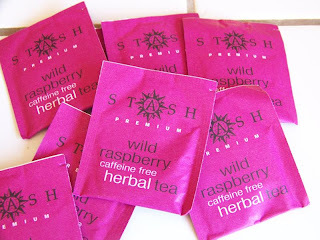 Yes, I understand that “herbal tea” isn’t really tea. And that tea bags are the worst way to buy tea. And that some of you don’t believe the words “iced” and “tea” should ever be put together. Ever. But my family likes herbal tea from tea bags. And loose tea isn’t frugal and therefore is not near to nothing. And I wouldn’t want hot tea on a day like today. Mmmmm!! Raspberry! From the bulk bins at WinCo, of course! Even among iced tea drinkers there are very strong opinions. Just talk to anyone from the south. Our mom (not from the south) doesn’t add a granule of sugar to her tea. But in the south, they add sugar while the tea is still hot so it can hold more sugar than mixing it into cold tea. I have a sweet southern belle friend, Joy, who says the key to good sweet tea is to add the sugar into the boiling water. She adds peach slices to the boiling water and removes them after adding the tea bags. Sounds yummy! 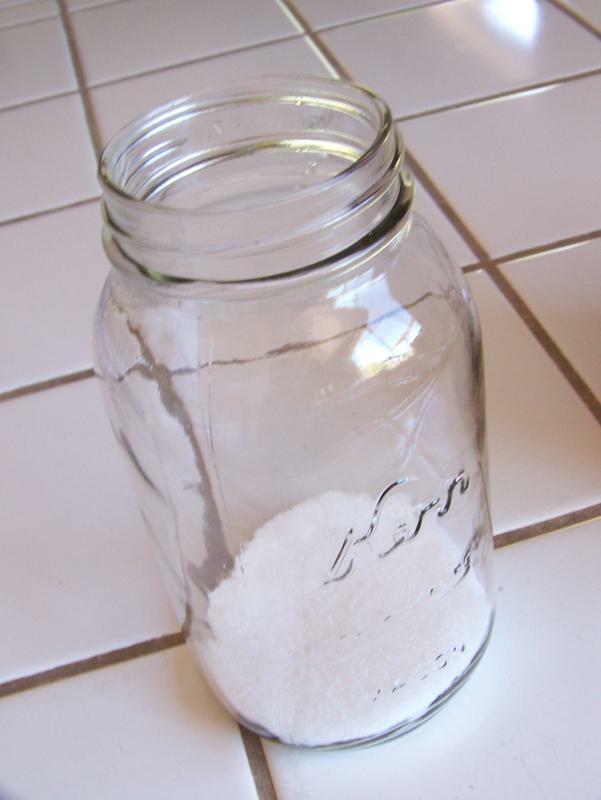 Some people also add a pinch of baking soda to the water to help prevent bitterness. That’s one of the great things about iced tea—you can make it however you like it! That being said, my “recipe” is actually just a guide for how I make it. Come up with your own that suits your family. 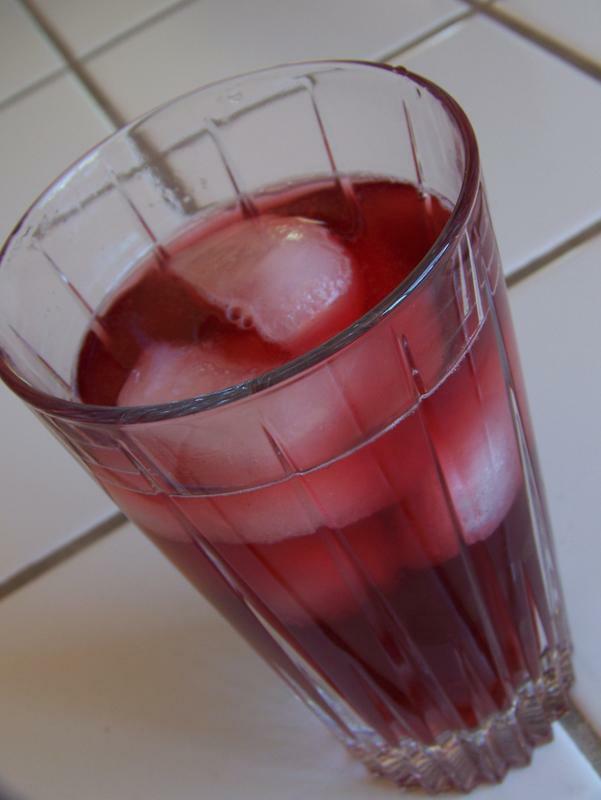 Decide how much iced tea you want to end up with. Bring half that much water to boil. (e.g. boil 1 qt. of water if you want to make a 2-qt. pitcher). 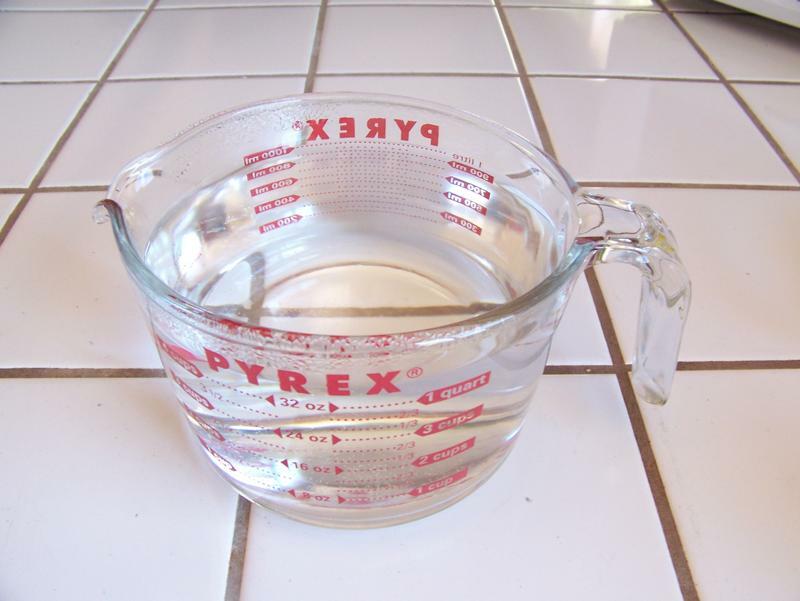 I boil the water in my Pyrex in the microwave. 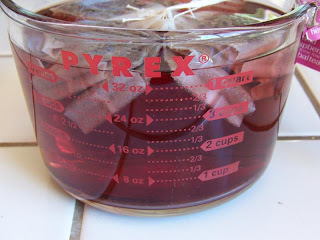 Remove from heat, add tea bags, one for each cup of finished tea (8 for a 2-qt. pitcher). Steep no longer than 5 minutes. 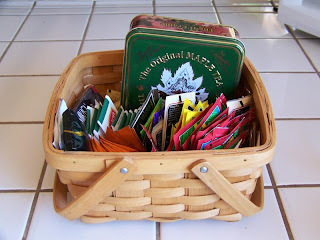 Remove and discard tea bags. 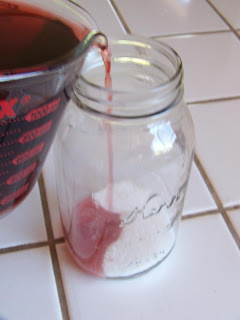 If adding sugar, pour desired amount into bottom of pitcher. Add a small amount of hot tea and stir or swirl to dissolve. The amount of sugar you use is up to you! Fill pitcher with ice cubes. Pour remaining hot tea over. 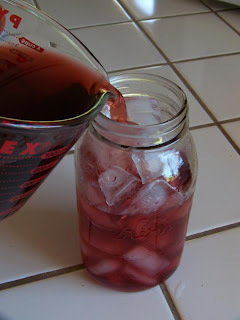 If necessary, add cold water to fill pitcher. Follow directions above to brew tea. 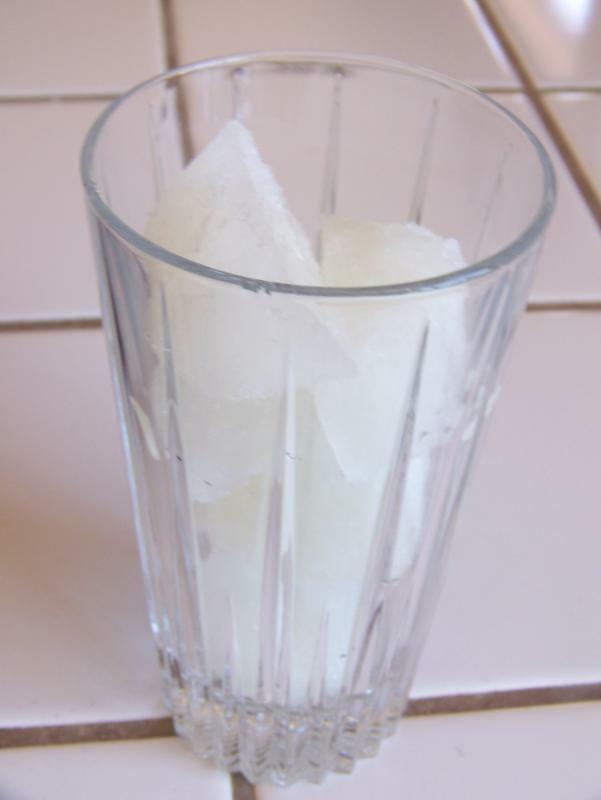 Fill glasses with lemonade ice cubes. Pour concentrated hot tea over. Stir until chilled and mixed. Since it's summer, I've been using my stove and oven as little as possible. That means we've been eating a lot of salads, sandwiches, and slow cooker meals. This recipe combines both a slow cooker meal and a salad. Friday I posted a great way to cook a whole chicken without heating up your house and I mentioned that we didn't eat it as is; I used it as part of another meal. That other meal was chicken Caesar salad. I also used it to make chicken salad sandwiches, which we'll post another time. There are two ways you can do this, both of which are easy. For the first method, you simply set out all ingredients and have each person build his or her own salad. 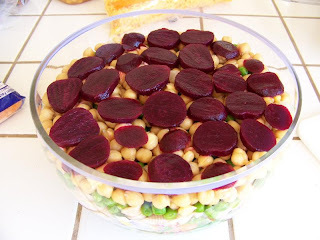 This is good if you have picky eaters who aren't going to want all ingredients in their salad or if you know all the salad won't get eaten in one sitting. The second method involves mixing all the ingredients and tossing it all together. Keep in mind, that any leftovers will get soggy with this method. So there you have it! It's a super simple recipe that will fill you up, but won't heat you up! **UPDATE: Check out Sumiko's recipe for homemade caesar dressing here! I recently posted a recipe for a delicious oven roasted chicken and mentioned how it's really too hot to use the oven now. However, the summer is the season of the slow cooker in our house! I've made whole chickens in the slow cooker before, but was never very impressed with how they turned out, so I tried a different method this time and was pleased with the results. Let me just say that while the chicken itself was delicious, we didn't eat it as is - I used it in another recipe, which I'll share at a later time. This is a great way to get (cheap - buy it on sale!) shredded chicken without heating up your kitchen! You can brine your chicken if you'd like, but I didn't have time to brine mine. 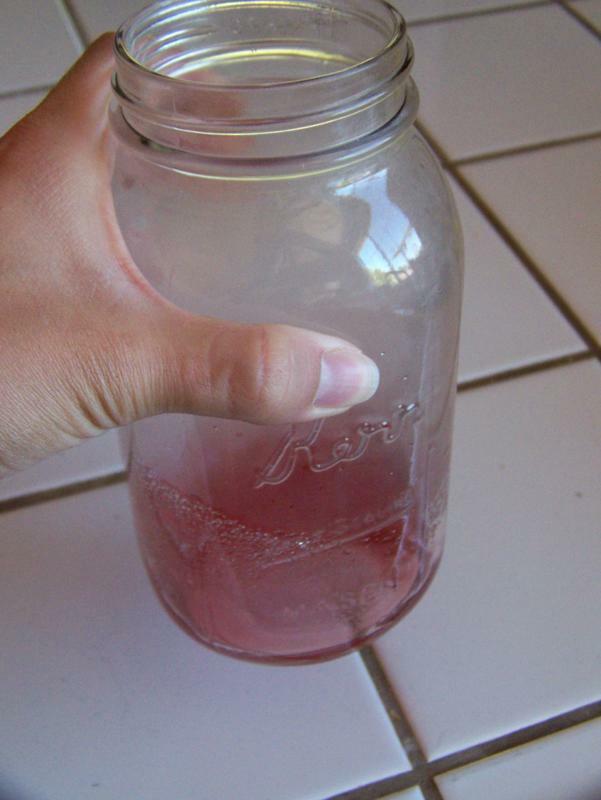 Pour water in bottom of slow cooker crock. Stuff chicken with aromatic fillers or choice. I used garlic cloves, onions, and carrots. Combine oil, thyme, rosemary, rubbed sage, pepper, and garlic powder; rub all over chicken. Place chicken in slow cooker and cook on low 6-8 hours, on high 4-6 hours, or until chicken reaches an internal temperature of 180 degrees. Remove from slow cooker and let rest 10 minutes before cutting or shredding. Not the prettiest chicken I've ever made! It gets so tender, it falls apart when you take it out of the slow cooker. I have a confession to make. I don’t follow recipes. Unless I’m baking, which requires a lot more precision. But when I’m cooking, the same dish never really comes out the same twice. And I hardly ever measure. 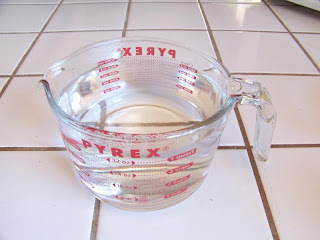 When coming up with dishes to blog, I have to make the dish, sometimes multiple times, measuring and tweaking to get it into written form. I have two general methods for cooking. First is completely winging it. 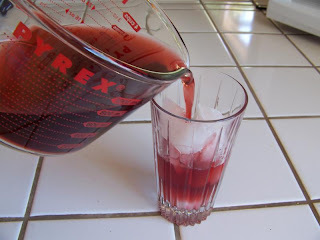 This works really well for me when I’m preparing dishes and working with flavors with which I’m really familiar. My second method involves looking up recipes for the same dish in multiple sources, taking general mental notes, and then winging it. This is how I cook dishes or use flavors that are new to me. So despite not following recipes, I definitely do use recipes. I thought I’d share my favorite sources so you can look for your own inspiration. As far as cookbooks go, I have way more than any sane person should own. I am currently working on weeding them out. But there are two main ones that I think every home should have. 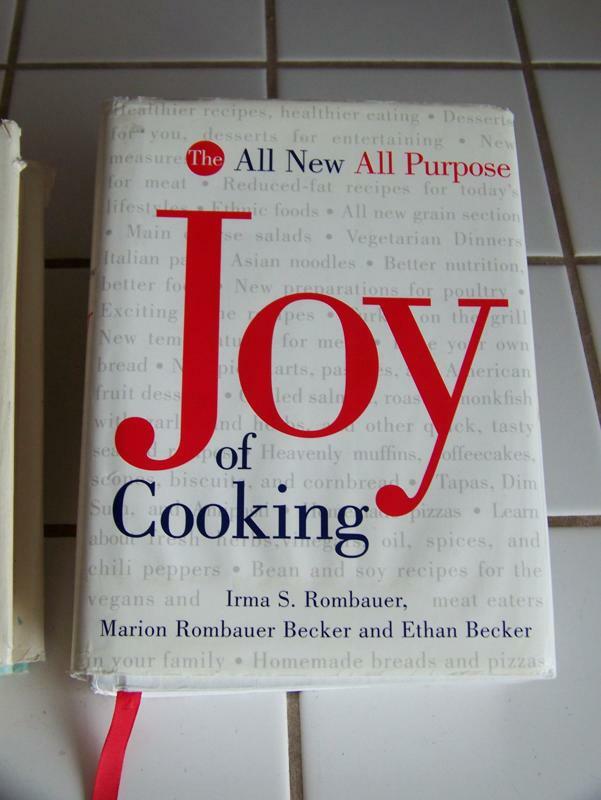 The first is The Joy of Cooking . 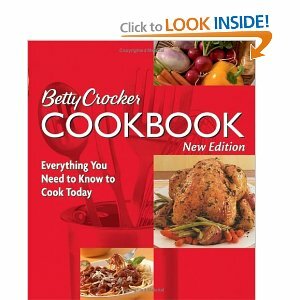 More like a cooking encyclopedia than a cookbook, it contains just about anything the average household cook might want to know. 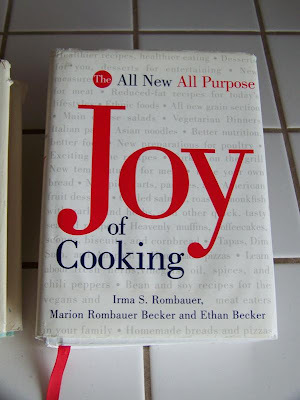 This is my number one go-to book when looking for recipes. It also includes conversion tables, menus, table etiquette, nutrition charts, substitutions, general information about ingredients, food storage, and how to select fresh groceries. 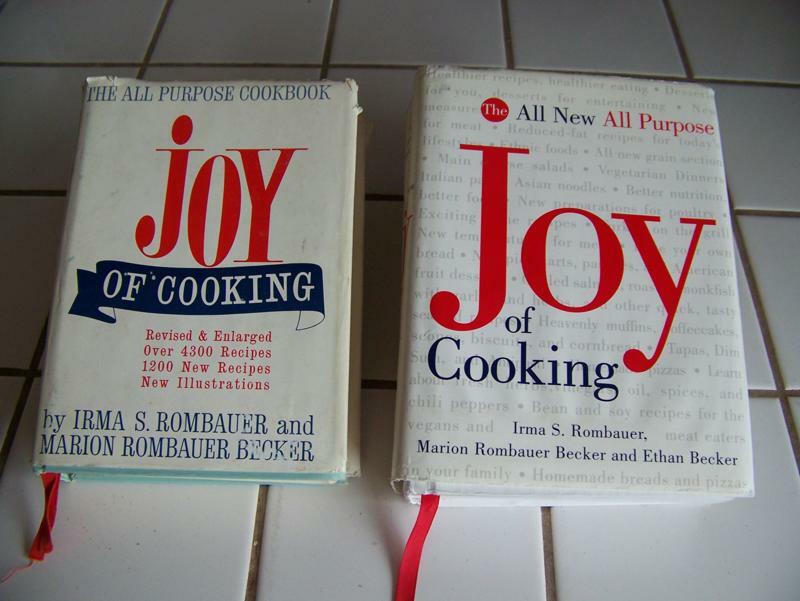 There are two editions of The Joy of Cooking. My parents own the original edition. It’s fun to browse because it has some very interesting information in it. 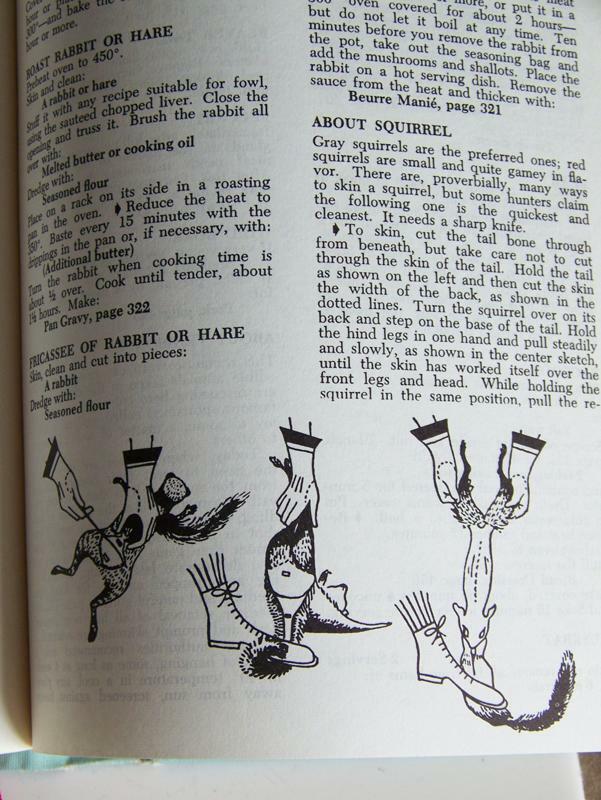 Need to know how to skin and prepare a squirrel? Refer to the game section. I have the new, updated edition. 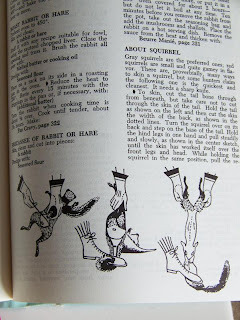 Sadly, squirrel is no longer on the menu. I also recommend that every kitchen have a general cookbook such as a Better Homes and Gardens New Cookbook or Betty Crocker Cookbook . 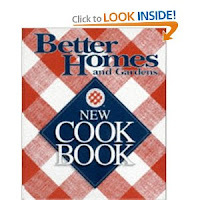 I have the BHG one; I believe Kimiko has the Betty Crocker. 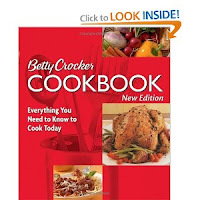 These cookbooks contain a lot of different types of recipes but aren’t as in depth. In addition to cookbooks, I also reference a lot of recipes on the internet. Sure, you can Google any recipe you want, but I find this a bit overwhelming and only do so after I’ve exhausted my other resources. 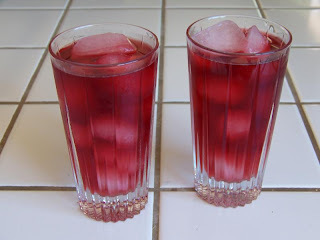 The first website I visit for recipes is foodnetwork.com. 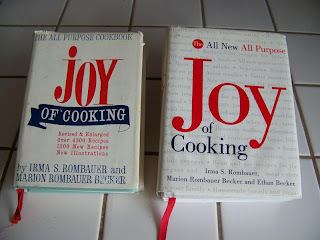 I like finding recipes here because I know the cooking styles of many of the chefs behind the recipes. I know which chefs I like and which ones I don’t. My favorites are Alton Brown and Tyler Florence. I also use allrecipes.com on occasion. I don’t like this site as much because you never know what you are going to get. It’s a site where anyone can post any recipes they want, and then other people can rate and review them. I have found some great recipes there, but you have to learn to weed out the bad ones. One major problem that I have with allrecipes is the way users tend to rate recipes. Some people will give a recipe five stars but then say they made a bunch of alterations when they were making it. They deviated from the original recipe so who knows if it deserved the five stars. On the other end of the spectrum, Kimiko once saw someone give a recipe one star and then admit that they forgot to add the baking soda. If you are going to use allrecipe or other user-contribution sites, be sure to read the comments of others who have reviewed it and discern whether or not it deserved the rating it received. 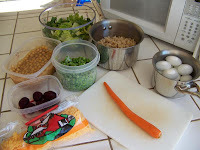 On both foodnetwork.com and allrecipes.com, you can create a recipe box to save your favorite recipes. This is a great way to keep track of them without having to print them out and have papers to clutter your cookbook shelf. And of course, there’s always neartonothing.com. Yes, I go to my own blog to get recipes. If I want something to turn out the same way it did before, I follow what I did when I blogged it. That’s also how I get Kimiko’s recipes so I don’t have to bother her to e-mail them to me. And who knows. Maybe there will be a Near to Nothing cookbook in the future. Anyone interested?